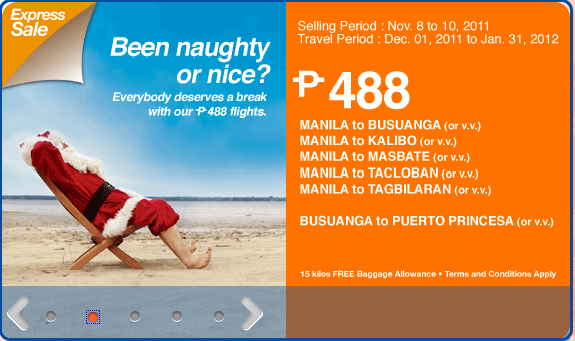 AirPhil Express asks if you’ve “been naughty or nice” this year as it dishes another low-cost fare for domestic flights inclusive of December 01, 2011 to January 31, 2012 travel period. Fare goes down in as low as Php 488 for selected destinations from Manila. Check out details below. Booking of flights is up until November 10 or until tickets last.